CINCINNATI, OH – J2 Creative, a Cincinnati based multi-disciplinary design agency, is pleased to announce they have been named agency of record for Safe Water Science.org, a non-profit group focused on water education. As agency of record for Safe Water Science, J2 will design and maintain the group's website, as well as curriculum materials for teachers, students, and non-traditional educational groups. "Having already developed the identity for Safe Water Science as well as an interactive Flash-based presentation, we have a strong understanding of their brand and audience," says James Westbrooks, a Principal Partner in J2. "We're very pleased that we have the opportunity to continue the work." "This is a great project that draws on all of our capabilities," according to Jackie Brosz Westbrooks, also a Principle Partner of J2. "The brand must function on many levels. It needs to appeal to teachers who will spend their class time on the material. As a non-profit group it must appeal to corporate donors. Most of all, it must be interesting and fun for the kids!" Safe Water Science is a set of enhancement lessons for middle school science classrooms and other educational groups. The program is meant to raise student awareness of the water quality issues facing our world. 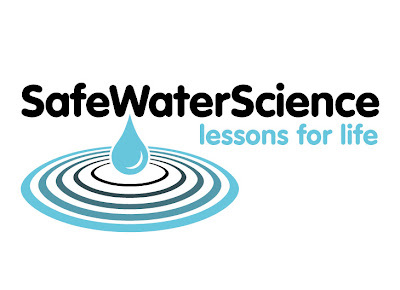 Each Safe Water Science lesson is designed to address specific National Science Standards. Within the lessons you will find a balance of hands-on activities, cooperative learning exercises, multi-media resources, and research opportunities for your students. Safe Water Science activities use inexpensive, everyday materials. Optional extensions to the lessons involve social action, such as partnering with a school in a developing country, fund-raising, and other outreach activities.